It's a constant challenge at our house to plan and prepare easy weeknight meals that are also healthy and tasty. In this way I'm sure we are no different than most busy families! With evening sports activities and music lessons to get to, plus homework to be done, how many of us have the time to create complex meals on a daily basis? The good news is that, with a little planning in advance and a thorough shopping list, we can make healthy family meals in under 30 minutes. 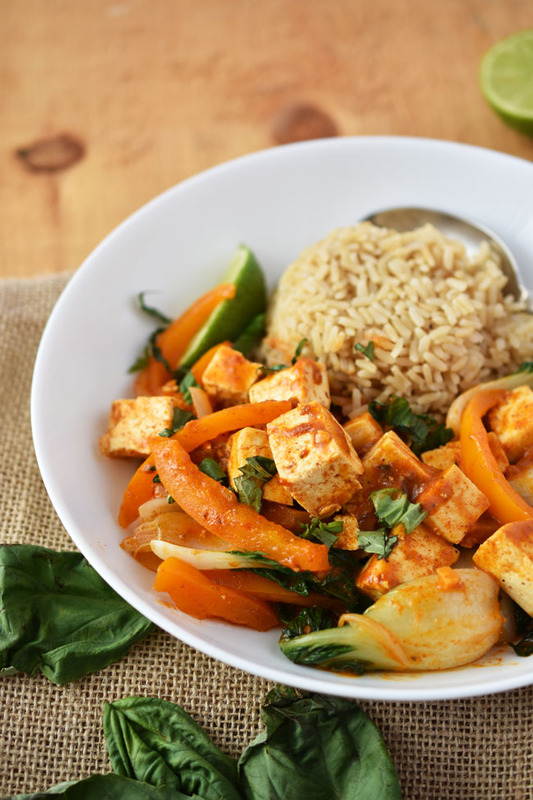 Like this vegan, gluten-free Thai Red Curry Tofu & Bok Choy Stew. Put some brown rice (or whatever rice you favour really) into a rice cooker or pot and whip together the stew while it cooks. In under half an hour you have a lovely entree complete with protein and veggies in a delicious sauce. Saffron Road's line of made-in-the-USA all natural and halal-certified entrees, simmer sauces, broths and more is intended to get dinner on the table quickly without compromising good health. They have a number of vegetarian and vegan options too. The Thai Red Curry Simmer Sauce that I used for my recipe is verified non-GMO, vegan, gluten-free and made with all natural ingredients. It's a healthy dinnertime shortcut that you can feel good about feeding to yourself and your family. Here's a look at the simple and wholesome ingredients used in this quick stew. I based the recipe around extra-firm tofu cubes, because I am a committed tofu lover. 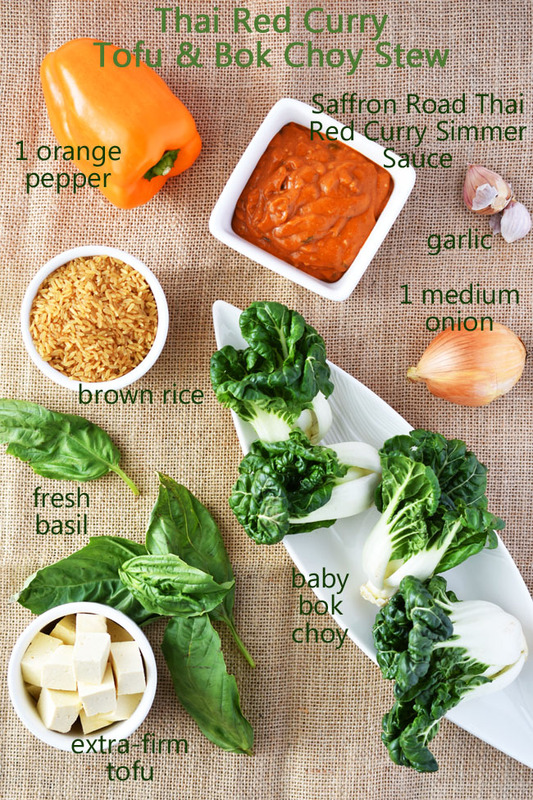 Add to that some tasty baby bok choy leaves, orange pepper slices, onion, garlic, Saffron Road's Thai Red Curry Simmer Sauce and fresh basil for garnish, and you have yourself a tasty, fragrant meal. 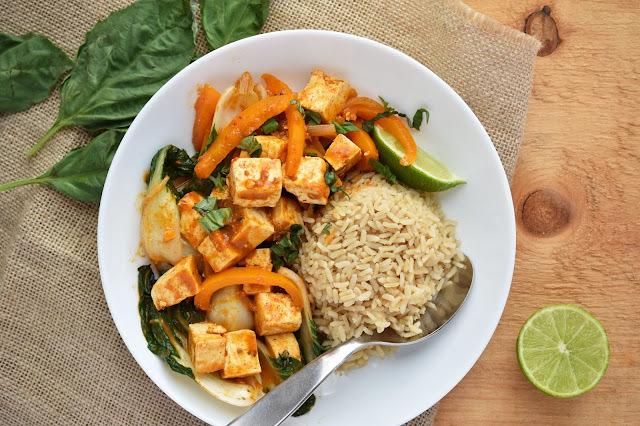 I made this recipe primarily for my husband and me, not really expecting the kids to get excited about it (seeing as it's pretty darn healthy and all). To my surprise they both gobbled it up. I even had to talk to them about grabbing chunks of food off the stove with their fingers! It's a good problem to have for a mom, right? Cook rice according to directions on package. Heat oil over medium-high heat in a large pan. Add onion and stir until slightly soft, 3-4 minutes. Add tofu cubes and cook until browned, about 5 minutes (adding more oil if needed). Add baby bok choy and pepper slices and cook about 4 minutes. Add garlic and cook 1 minute. Reduce heat and pour in simmer sauce. Stir gently and simmer until sauce just begins to bubble. Add salt and pepper to taste. Serve over rice. Garnish with fresh basil leaves. Saffron Road Simmer Sauce & Tee Giveaway! I'm excited to be giving away a prize package from our friends at Saffron Road, including a fun tee and a selection of product coupons (U.S.) or simmer sauces (Canada). Residents of the U.S. and Canada may enter using the rafflecopter below until November 9th. Prize may not be exactly as shown. *This is a sponsored post. All opinions are authentic and my own. Thank you for supporting the awesome companies that partner with Woman in Real Life. I'd like to try all of it. I really wonder how the crunchy chick peas will taste. I would like to try the Korean Simmer Sauce. I would like to try the chicken tenders. I'd love to try their Chickpeas and the Spices of Bombay! They sound amazing! I would like to try lemongrass basil chicken. the lemon grass basil for chicken, they all look good. I'd like to try the Chicken Nuggets and the Chicken Tenders. I'd also love to try the tandoori Chicken Nuggets! I would like to try the Dessert mini tarts,,salted caramel cheesecake,,yumm!! I would love to try the Korean Stir Fry Simmer Sauce. I would like to try the Wasabi Crunchy Chickpeas. First I hear of this brand. I would be interested in trying the Lemongrass Basic simmer sauce. Would be awesome to try the Dessert Mini Tarts. Would love to try chicken tenders! Maybe my son would even eat them! I would love to try the Coconut Date Rolls. 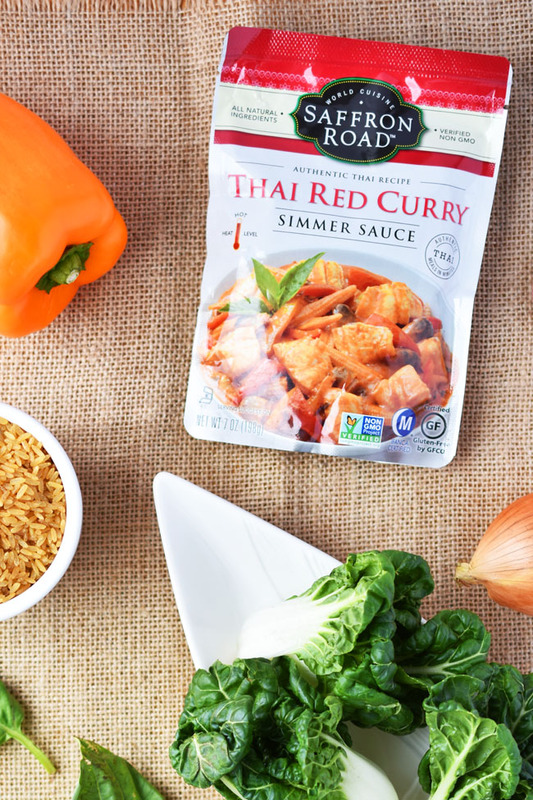 I'd love to try Saffron Road's Korean Stir Fry Simmer Sauce. I would like to try the Korean Simmer Sauce! I have not tried any of their products yet. I would love to try their Moroccan Tagine Simmer Sauce. I would love love love to try the Crunchy Chickpeas in Falafel flavour. They sound delicious! I would love to try the Rogan Josh Simmer Sauce. I would like to try the crispy samosas with vegetables. 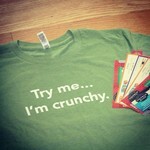 I'd most like to try the crunchy chickpea snacks, the flavors all sound great! I'd like to try the Korma Simmer Sauce. I'd like to try some of the broths, particularly the lamb broth. Lemongrass Basil sounds soooo yummy! Thanks so much for your amazing giveaway! Bailey Dexter Our family has to be gluten free even the cat! I would love to try the Korean Tacos and Chapatti Wraps these would be perfect on-the-go meal. I have never seen these before. But will be looking for them! I'd love to try the Lemongrass Basil Simmer Sauce. I haven't seen this brand before. 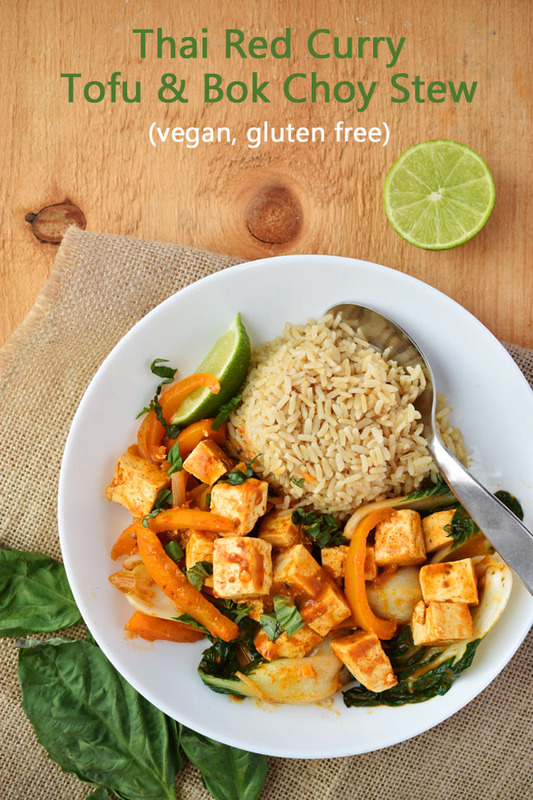 I love the chicken Tikka masala, and would love to try any of the vegetarian options as I am increasing my meals to include more vegetarian recipes. I would love to try the Moroccan Tagine Simmer Sauce. My entire family would like to try the lemongrass basil simmering sauce. Thanks for hosting and giving. I've never tried your product before, and they all look awesome. I would love to try any of them. I'd love to try the Korean BBQ Crunchy Chickpeas! I've had the Thai Basil Chili Tofu and it's pretty good. I'd like to try the Crunchy Chickpeas! would like to try lemongrass basil chicken. I would love to try the Korean BBQ Crunchy Chickpeas.